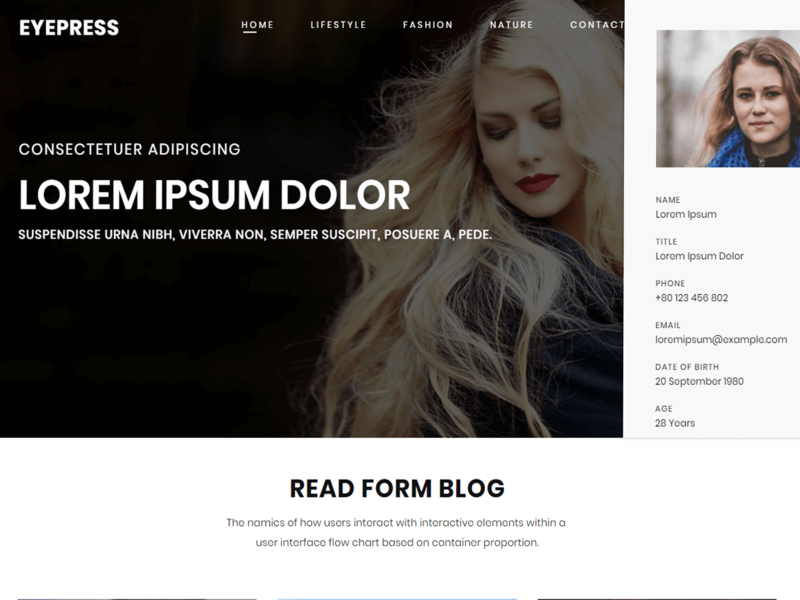 Eyepress is an awesome Blog WordPress theme. You can create your personal blog or any other blogging site by Eyepress WordPress theme. You can add your own logo, header, featured banner, side profile menu, grid view or smart view in this theme. This Eyepress theme also has several different layout and color that look great on devices of all sizes. Eyepress is a smart WordPress blog theme. Eyepress is the right choice for your blog website. You can create a full feature blog website by the Eyepress WordPress theme. Eyepress WordPress theme support custom header, header banner widget, home page feature section, feature image, color changing options, custom background, footer widget, font Awesome icons. So you can enjoy your blog or magazine website with the WordPress Eyepress theme.